First image: Approaching sunset over the Colosseum. I took this picture from the Roman Forum few minutes before they closed it. Second Image: Taken at night from the Northeast. Third Image: Picture taken from Via dei Fori Imperiali. Rome, Italy. August 2013 CLICK ON THE IMAGE, WAIT TO LOAD AND CLICK AGAIN TO ENLARGE. The Colosseum is a huge amphitheater. 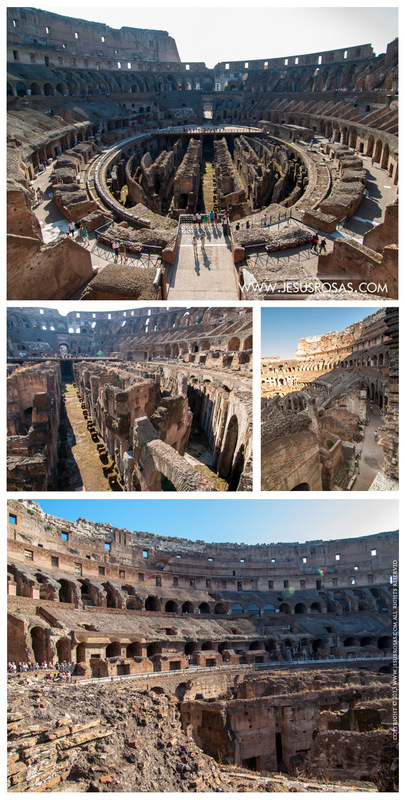 In fact, it is the largest in the world (3); it is also called the Flavian Amphitheater. The Colosseum was used for ceremonies, games, and even executions among other events (2). Many people and animals died there in front of thousands of spectators. However the development of these sad and cruel events, the Colosseum is now one of the New Seven Wonders of the World (4) and one of the most popular tourist attractions in Rome (2). In spite of fires, wars, earthquakes (2), and time, it is still standing after almost 2000 years. It is a masterwork of ancient engineering. How tall is the Colosseum? The facade or outer part of it is 48 meters (157 feet) high divided in three floors with 80 arches each floor. If you wonder how many people fitted there, you could have had between 60,000 to 80,000 people placed into five levels and one more for the emperor and the Vestal Virgins (2). This is about 4.5 times the capacity of the Monterrey Arena (Monterrey, Mexico) or 4 times the LDS Conference Center (Salt Lake City, UT) or 4 times the Madison Square Garden (New York City, NY). The Colosseum was designed in the shape of a large ellipsis. It is 189 meters (615 ft) long (2), which is about two soccer/football (5) fields (6). It is also the equivalent of 14 school buses (7). Its width is 156 meters (510 feet) (2), about a football field and a half or 11 school buses. And if you like running, you would probably enjoy setting a running record of laps around the Colosseum. No, not me, I didn’t run around it, but I did walk it several times at different times of the day and night and enjoyed the view, and here are some pictures I took while doing my promenade. Day and night images show a view of the Colosseum from North to South on a pedestrian bridge on Via degli Annibaldi (Annibaldi Street). CLICK ON IMAGE, WAIT TO LOAD, AND CLICK AGAIN TO ENLARGE. If you go to the Colosseum today, you will see some sort of passages and row of walls instead of what it was supposed to be the arena or “field”. Those pillars or walls supported a wooden platform covered with sand (there is today a small part of wooden floor to give you an idea). All what you can see now, was actually the underground passage system below the arena. Slaves, gladiators, and animals, both trained and wild, would be led from those underground tunnels or elevators next to the walls to the actual arena platform (2). There are also historical depictions that the arena was sometimes covered with water for reenactments of naval wars. Yes, that’s right, a big pool of water and ships fighting in it. I’m assuming ships were downsized. While taking pictures I was approached by this Italian couple who asked me to take a picture of them. Rome, Italy. August 2013. 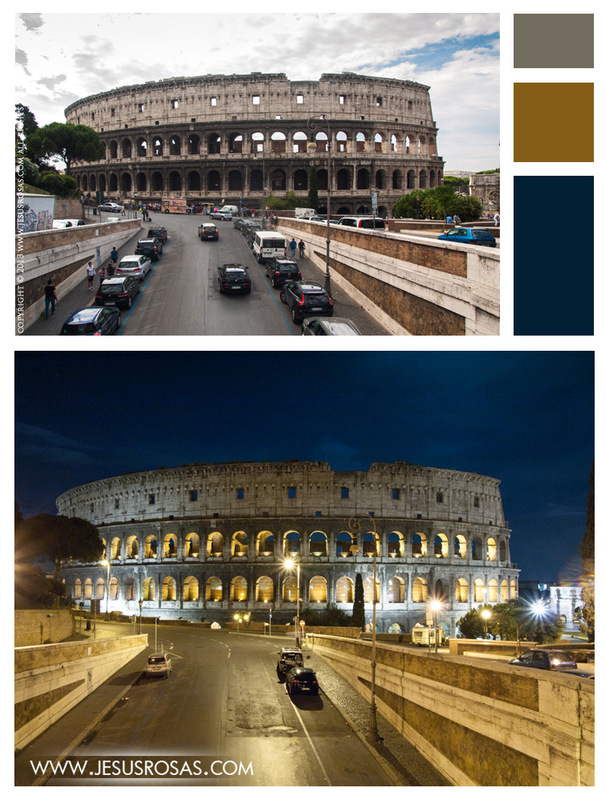 Top image: The Colosseum from Palatine Hill viewed from West to East. 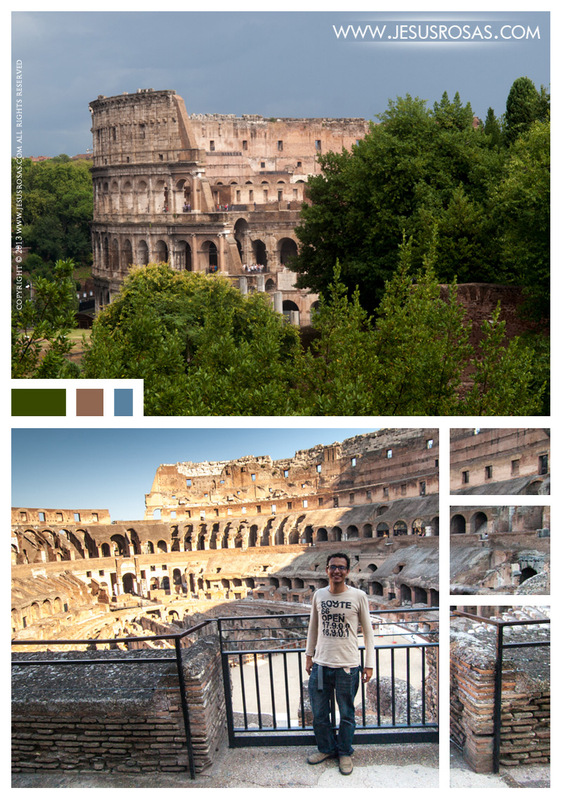 Bottom Image: I’m posing for a shot inside the Colosseum. Rome, Italy. August 2013. The Colosseum viewed from the South without its facade. Bottom pictures show some interior halls. Rome, Italy. August 2013. 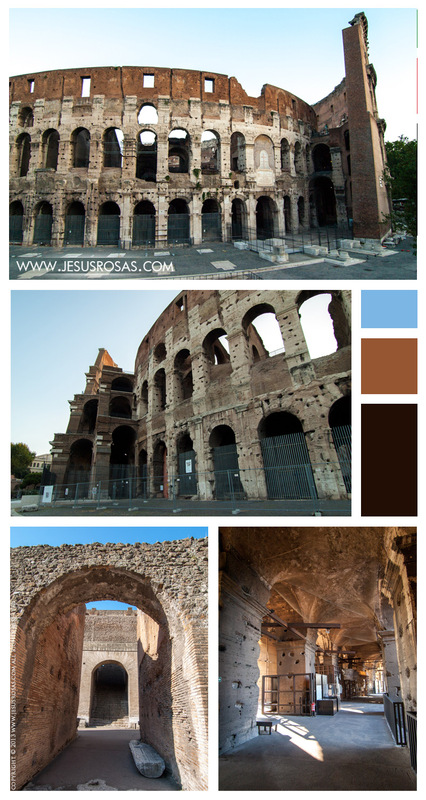 This is the inside view of the Colosseum. You can see on the top picture, right at the center, the underground passages that used to be covered with a wooden platform. There is a replicated portion of it that you can notice on the far side of the ellipsis. Rome, Italy, August, 2013. If you ever go to Rome as a tourist, visiting the Colosseum is unquestionable. It should be a high priority place to go. 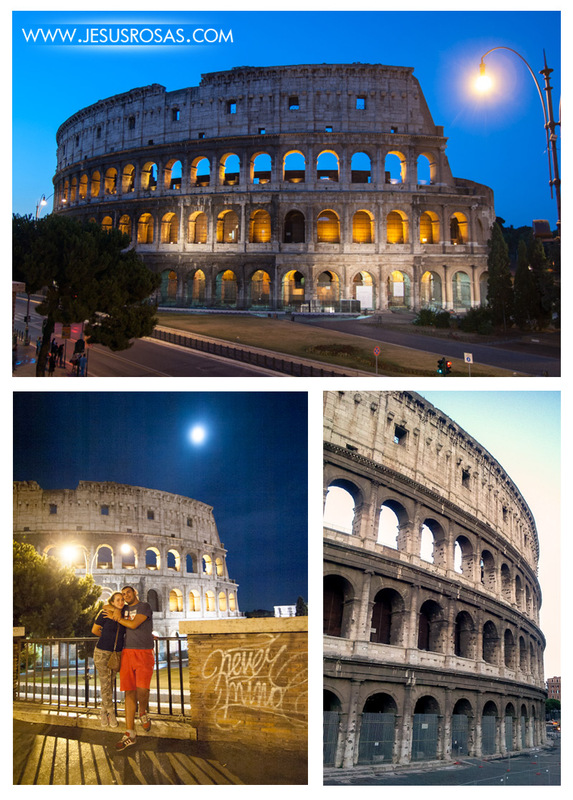 You can’t go to Rome and not see it! Rome has a lot to offer. If you have been there, what else would you recommend? And if you haven’t been there, what would you like to see? “New7Wonders of the World.” World of New7Wonders. New Open World Corporation, n.d. Web. 17 Jul 2014. 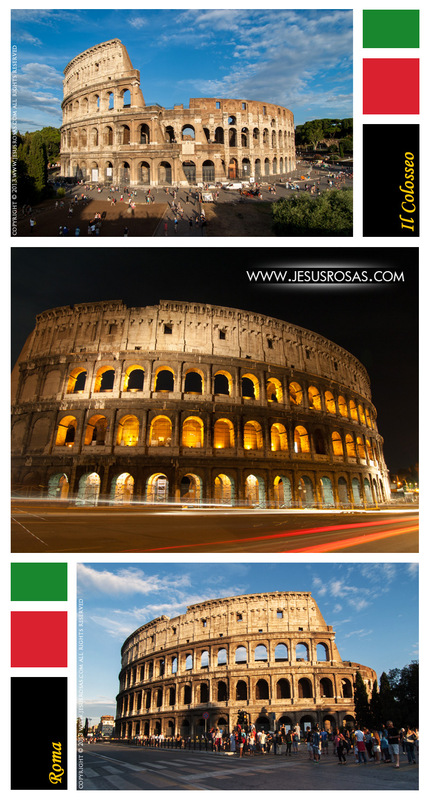 <http://world.new7wonders.com/new7wonders-of-the-world-page/new7wonders-of-the-world/>. For the purpose of this article, football means soccer, not the kind of football played in the NFL. This is assuming a football or soccer field measures 105 meters (115 yards) long. Some may measure slightly more or less. The typical yellow school bus in North America usually measures 13.7 meters (45 feet) long. All pictures were taken by me, Jesús Rosas, except for the one I’m in. I asked a Korean tourist to take the picture for me.